more so your TV debates taking on archbishops, hotly YouTubed. like sounding the new death-knell of religion, with web power. you dare them to “walk on water” or “turn water into wine”. you attribute enough wars and scandals to the Church. you harvest applause, like the invincible spokesman of reason. worse than cutting off a man’s head to treat his headache. doesn’t this mean faith could be justified without evidence? but a spiritual organ driven by the evolutionary need to coexist. what could have turned a race of jungle animal into a moral being? deserves Nobel returning to history to award his best prize! 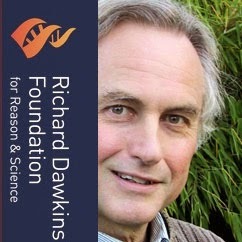 I like this poetic-blog because it nicely skewers Dawkins with piece of philosophical reasoning! I like the first two verses best. My theory is that Christianity is all about fear of death, and as there is no literal solution to THAT problem - its appeal has essentially been cultish. For example, there are aat least three cases in the New Testament of bodies being miraculously resurrected from the dead, after being buried 'n' all, which we must interpret allegorically these days, but clearly were for centuries supposed to be literal demonstrations fo the advantages to folk of being Christian. One thing religion should correct is telling detailed stories of God. The God we believe in is an abstract moral force, beyond science. deserves Nobel returning to history to award his highest prize. even becoming an “appendix”, it is the origin of law and morality. risking retrogression to trample on the ancestry of civilization!